Multilateral organization incentives and emerging carbon credit markets could benefit national governments, which can demonstrate reduction of emissions from deforestation and forest degradation. Such demonstration requires a credible national forest monitoring system. 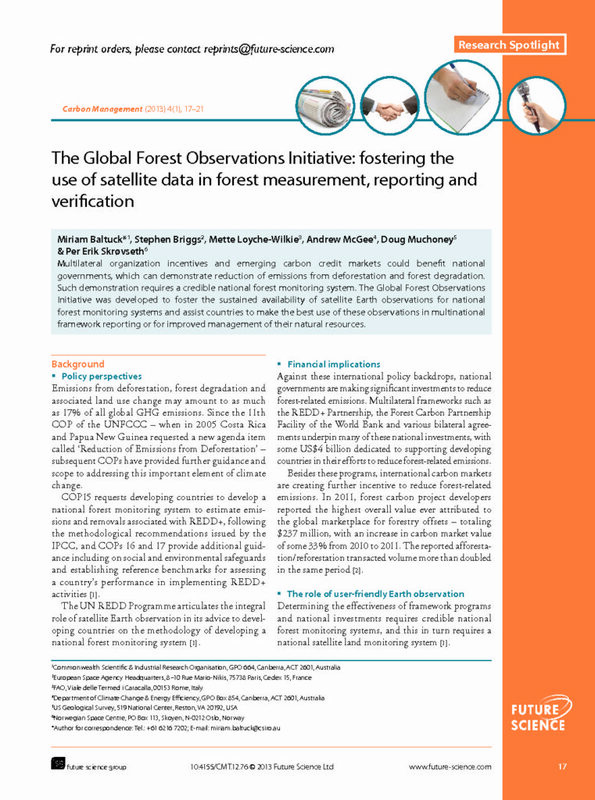 The Global Forest Observations Initiative was developed to foster the sustained availability of satellite Earth observations for national forest monitoring systems and assist countries to make the best use of these observations in multinational framework reporting or for improved management of their natural resources.